Let’s face it, ask most designers what their dream project would be and I bet none would mention designing and coding HTML Email. Designing email has a special place in my heart and I am excited to communicate with people through this challenging medium. So here’s 5½ improvements you might consider making when you revamp or greenfield your next template. Note: This article is a guest post by Josh Rubinstein. From the time we rise until the wee hours of the night our smart phones are never far from our opposable thumbs. Despite the proliferation of “umpteen” social networks, email still tops out as one of the most common tasks we perform while on the go or at our desks. The Concept of “The One Web” represents a shift in thought towards “democratically” publishing online content to a range of devices. 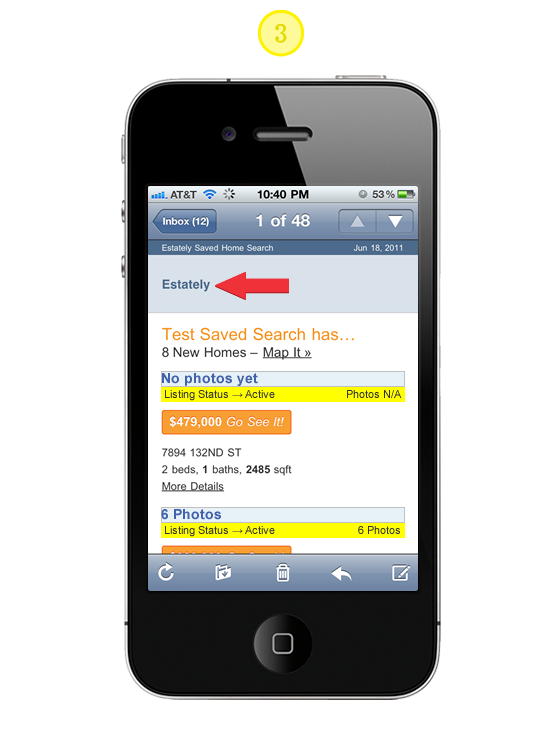 At Estately, whenever we talk to our customers, we hear that they read our Saved Search alert emails in the “fleeting moments” when a meeting hasn’t quite started or while scarfing down some fruity pebbles cereal in the morning. One of our users told us that in the morning the alarm goes off and, before he’s out of bed, he looks through new emails on his iPhone. The statistics back this up: no matter what service your company provides, your HTML email needs to be optimized for mobile today – according to Campaign Monitor, the iPhone now accounts for almost 15% of their email subscribers. Heck world-wide Smart Phone activation is outpacing births by 3X! Part of the goal for the HTML Email template design was to only require the use of one template for both mobile, desktop and anything else the industry creates in the next 6 months for that matter! Approaching design and UX challenges with wearing the lens of Progressive Enhancement in mind makes the world a nicer place! I didn’t want to depend on CSS3 media queries for content scaling. I wanted to provide as much support to various devices by using percentage widths and max-widths. Like-wise when CSS3 is supported I figured the device would be responsive enough for advanced stying and design, as you will discover below with my work-in-progress for Retina display support in HTML email. 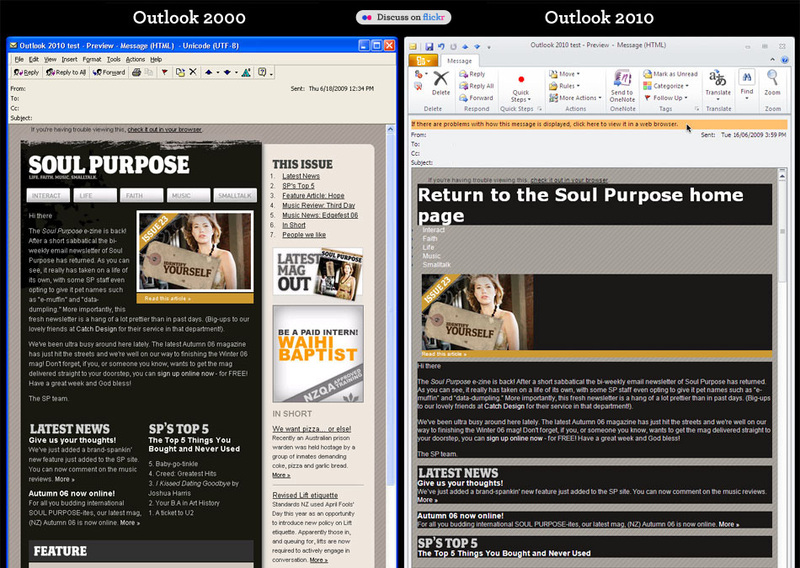 We all know that Microsoft Outlook 2010 and 2007 are crap for rendering HTML. WORD! Exhibit A, Exhibit B There’s also a few other doosies out there too, checkout Campaign Monitor’s Guide to CSS Support in HTML Email Notice there’s a lot of those red “X’s”. 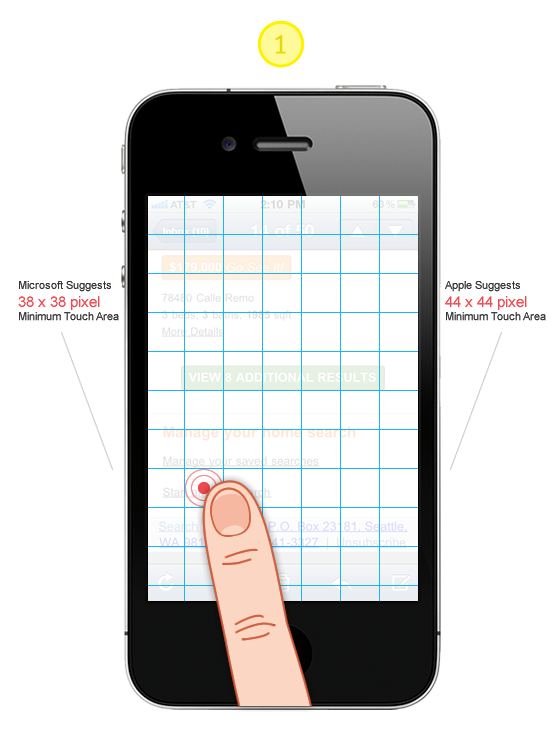 Tip #1: Design all “clicks” to be touch friendly! First impressions are worth taking seriously even if they are a bit more on the subtle side. Will your subscribers stop receiving your emails if your logo is a bit choppy? Don’t compromise if the solution is within reach. I like this approach for supporting the higher resolution displays because all subscribers will see the same content. I aspire to the mantra of Progressive Enhancement. All users will see the ALT text and with images on a logo. If they happen to be using a high resolution display such as the iPhone Retina display they will see a super crisp version of the logo. font-weight: bold;"  alt="text for image" height="41" width="200"
Note, you will have to update the image paths and dimensions to work with your content and design. Simply add the CSS below to the media query outlined in Tip# 2. Here we are taking advantage of the CSS Pseudo Class :after and the CSS2 content property to add the ALT text for the high resolution imagery. Email clients vary in their design and implementation so much. Some are based on antiquated rendering engines and others have umpteen layout options and overloaded “tool belts.” It’s anyones best guess just how much screen area your actual message will be given. I have choosen to use a combination of percentage widths with max-width settings to achieve a layout where images can scale up to 600 pixels wide and down to 350 pixels. 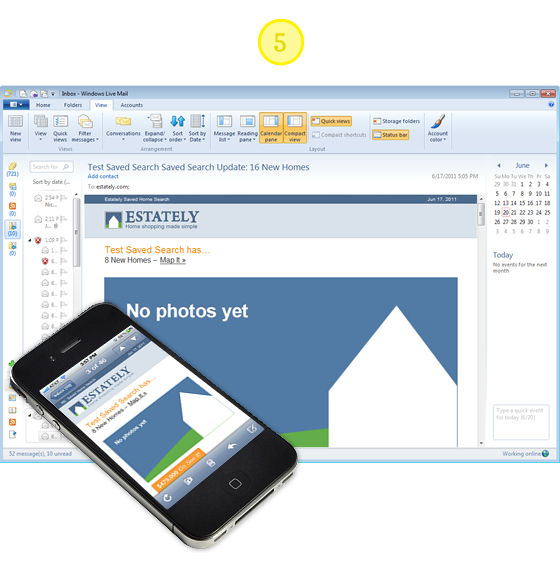 It’s not perfect in all clients such as Outlook 2007 and 2010 but the content and utility of the layout are not compromised, while providing a optimal experience for the majority of email clients. <table border= "0" cellpadding= "0" cellspacing= "0" align= "center"
<img src="image.jpg" alt= 6 Photos border= "0"
See CSS Tricks for image examples and further reading. // IE will ensure they look incredibly awful unless you use this. Hope the improvements and the code samples got you enthusiastic again about HTML Email. My goal is to help you communicate more effectively and provide the best experience possible for your design and subscribers. I certainly developed solutions for my design needs. You may find it necessary to adapt and explore tweaks and new solutions all together. If you come across any improvements or new solutions please let us know! 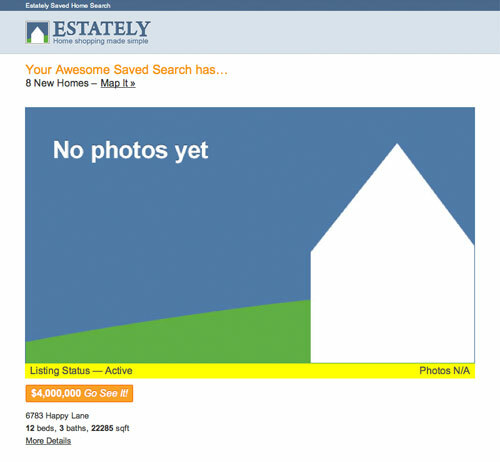 Josh works with the fine people of Estately, a comprehensive online real estate search for home buyers to shop and tour homes. Josh feeds upon the dynamic between design and development finding inspiration from both communities. When he’s not in front of the computer, you can find he and his wife working on their Seattle home. Well done! Great read. Makes me want to throw out the WPtouch plugin. I have never come across such a thoughtful approach to HTML email. There is way too much compromising taking place in this department. Great post! Useful post, thanks. There will be some who insist the answer is to just use plain text but there has to be a place for graphic and text rich email – you just have to put some thought in to it. HTML email is the wrong approach. Email should be plain text. Um, no? HTML emails are highly successful and well tested to be many times better than plain-text emails. Plain-text is valid for a fallback, yes, but your answer and assumption is definitely lacking of any real world metrics proving otherwise. Thanks for the useful tips and detailed code explaining. Very interesting! I want to hire a pro designer for one of my websites. Someone who has UX ideas. I just can’t seem to find the right people on freelancing websites. Can you recommend anybody? Please mail me at cyrilgupta@gmail.com if you can. I am trying to implement for my website newsletter. The article really a good tips for me. The tips on individual mailboxes such as yahoo mail are really helpful. Been trying to send out surf clothing details to folk for ages now and since we stopped using paid 3rd party services a while ago we lost lots of subscribers straight away probably through result of our html table based emails would not showing properly. Media queries are the way forward for us too, we don’t need mobile sites, print.css or mobile apps, just one html5 template and some media query ready css, mobile friendly client side scripting to keep all visitors happy. We just need to work on making our whole site more responsive and cross device compatible now. 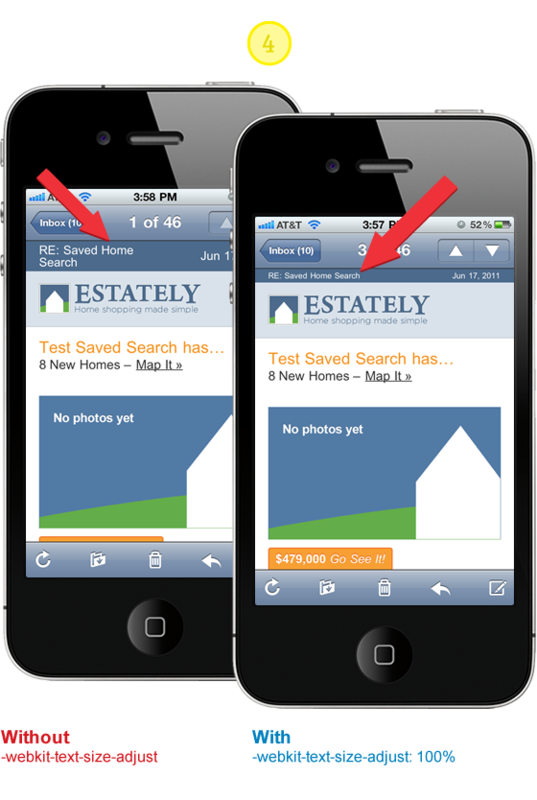 Great post about HTML emails for mobiles, considering the popularity of smart phones. Found a great resource here: http://docs.sencha.com/io/src/ on how to automatically scale images based on devices. The API provides SEVERAL useful options including custom sizes, format conversion, percentage scaling, offset scaling, base64 encoding, callbacks etc. and it’s free! The Sencha.io image resizing resource looks really sharp. It’s in beta now http://www.sencha.com/products/io/. I would imagine that there will be some fee associated with the service. Email in general badly needs standardization similar to the rest of the web. Thanks for putting this together! Great tips with code samples; added to my personal must-do-optimizations for new projects. Yes, really informative and visual post. And thanks Estately for a practical illustration material. This is really helpful info, thank you! Great article. More and more we need to improve in mobile webdesign. A very thoughtful and thought provoking article about some very complicated and challenging design issues. Thanks!! Wow, great post! Just in time for me. I’m about to launch a newsletter myself. I will use these tips, for sure. Thanks! Great article! 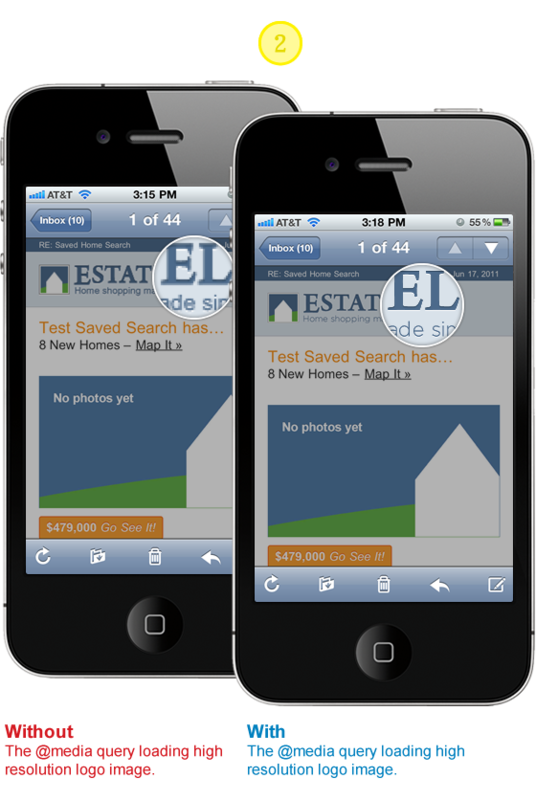 I’ve found http://niceemails.com has some great newsletter templates that render well in mobile also. “Tip #1: Design all “clicks” to be touch friendly! Not so. The number of emails, especially newsletters, which I receive which have massive linked areas is astounding, and, I have to admit, when viewing these emails from my iPhone, 90% get deleted without reading. Why? Because if I try and scroll down the page, the fact that the email is a veritable minefield of links (both obvious and not-so-obvious) means that touching the screen to move the viewport down the page triggers these links and opens them in new windows. 1) Do not have massive links. Certainly, use images to get your message across, but having a link/hotspot which is 800px wide is probably overkill. 2) Using Call To Action images is cool, but try and make them fairly moderate in size, and very clear in appearance – this way you don’t need to pick up clicks across the entirety of a 800px wide banner. Really, until these points are considered, I, and I would suggest a good number of other, mobile email-readers will delete your message without even looking beyond the first image. Luke I am definitely not suggesting a designer/developer make anything a minefield of links but rather to consider that touch-size needs to be considered. Doesn’t your tip about including higher resolution images for retina displays mean that all devices will download two versions of the same image regardless of whether only one is shown? Your comment is a great catalyst for another solution (which would eliminate a HTTP request) to simply include the higher res image in the image tag but with adjusted width and height properties so that it’s 1/2 the resolution for typical screen sizes, while reserving the media query for higher res devices with a css rule to size the image back to the higher fidelity. Nice css styles explained using the example of iphone. Some great techniques here, I would definitely keep this in mind when I start mobile development in the near future. This post is very useful. I will keep this post in mind when I create my newsletter for my wp theme customers. Great Works!!! Thanks for Sharing. This post is very useful, I learned a few things. Thanks! Great stuff. The tip about the touch target size will be very useful. tks! Thanks for this post. It’s verry useful, i will definitely use it in my next webdesign and email projects. Again, thanks for the post – useful and well written! I found this article after I’ve posted 100+ Email templates on my site and an Email Validator from Fractal – but i have to ssay this went well above my expectations when reading the headline. Your examples are much appreciated and I’ve not yet seen anyone discussing the images sizes for phones with touch screen – probably just me being ignorant – but this was a great read. Thanks for such a useful article. Can some one also refer some good pre designed Email Template website. This post is very well written! All the tips are very well explained! this post is very helpful and informative! Thanks! I will use this in my next mailing! I hardly found a website discuss about HTML email. When I design email template, but I set it with fix width and limit the CSS usage. This articles must be spend lot of time for preparation. Good job!! We need one template for all for sure! Also to take into account the displays of the new breed of iphones like the retina but also all of the HD android phones, Ipad alternatives etc. Yep, it’s becoming more and more important to get email (and web content in general) formatted nicely for mobile devices. Most folks are a lot more likely to check something like email / facebook / twitter, or work-related ‘status’ or ‘overview’ information on a mobile device. The percentages are still very low for most website statistics I check – but will be growing fast with the explosion of mobile devices. Great post – something we’ll all be paying more and more attention to. I have always concentrated on keeping the html and page design simple. Do we still need a WAP friendly design or can the new browsers on the smart phones handle standard html now? A simple test on my wife’s new Google android based phone would indicate they can indeed do just fine if you keep it simple. Really It is very nice & use full post for all web designer. So this is not working correctly on some mail clients like Outlook 2007, Outlook 2010 and some others but otherwise top! Thanks for the specs on Windows and iPhone buttons. I’ve never seen those before. Wow, thats one I can use, thx. I guess design specifically for smart-phone and related applications is inevitable… I was hoping the “smart” phones would evolve to “read” and properly render standard website designs. So, it is time for designers (ME) to evolve, again! Nice article, mobile becomes an increasingly important medium. As more and more Iphones flood the market. Crafting your e-mails so they are mobile friendly is a good way to stay connected with your customer on the go. I was hoping the “smart” phones would evolve to “read” and properly render standard website designs. Thanks for such a nice post.Its is very useful for the web designers. Wow. This is amazing. Many people search everything on iPhone nowadays and this is a must! Great post, some really useful information, must admit I sometimes neglect smartphone compatibility, thanks for posting. Good read. Really is helpful. webkit :none; to the rescue. thanks for the web design tips. There is a problem with media queries. Otherwise different resolution images do not load…at least they didn’t load for me. having problem viewing my youtube video on my mobile phone. Today mobile is not needed just for communicaiton, it has evolved lot and is becoming a big uitility of life. This is a fantastic post and really will helpful for lots of people. Each information is in full detail. Thanks for investing so much time for such post. My problem is that i didn’t put retina images so on Iphone 4 mail images look a little bit blurry. Great tips! For some reason, the hi-res version of my image does not show on my iPhone mail app. Any ideas? What’s a good idea or a good think! What I don’t understand is when I’m making an email it only allows me to paste in what’s inside the body tag so it strips out what’s in the head so how are you to use @media? Do it inline somehow? Extremely helpful tips, haven’t quite grasped it all as yet but getting there…. Thanks for the article. It’s definitely time to consider how we format the emails we send. There are some great tips here. Thanks again! This is a great tutorial, very useful information. Thanks for sharing. Thanks for tips, this is quite helpful since most of the people use a mobile phone to view emails.